Manchester United will have scouts in Lisbon tomorrow night as the club try to negotiate a transfer move for Benfica starlet Joao Felix. The Portuguese wonderkid is having a superb breakthrough season, and is already on the radar of a long list of top clubs, according to reports. The latest on Felix’s future comes from Sport Witness, citing and translating the print edition of Portuguese paper Record, which claims United are in talks over a transfer for the teenager with an £85million release clause. The report suggests it is this fee United and other interested clubs would most likely to have to pay to sign Felix this summer. 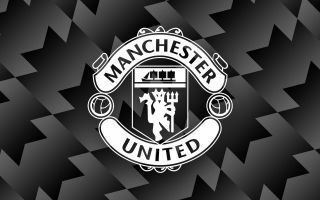 It is implied, however, that the Red Devils entering into negotiations over landing the 19-year-old suggests they are ahead of some of the other names mentioned. Juventus are also said to be in talks over Felix, while the likes of Manchester City, Paris Saint-Germain and Bayern Munich are also mentioned as admirers of his. In terms of beating City to his signature, it could be a great boost for United to get one over their local rivals as it will be them they’re battling to topple at the top of the table next season.